Vera Bradley will be on QVC Friday, March 20 from 2:00am to 3:00am EST. This is currently the only show listed. I was a little surprised because in the past there have been 3-4 shows. So exciting news, Vera Bradley will have a QVC exclusive print: Field Flowers. 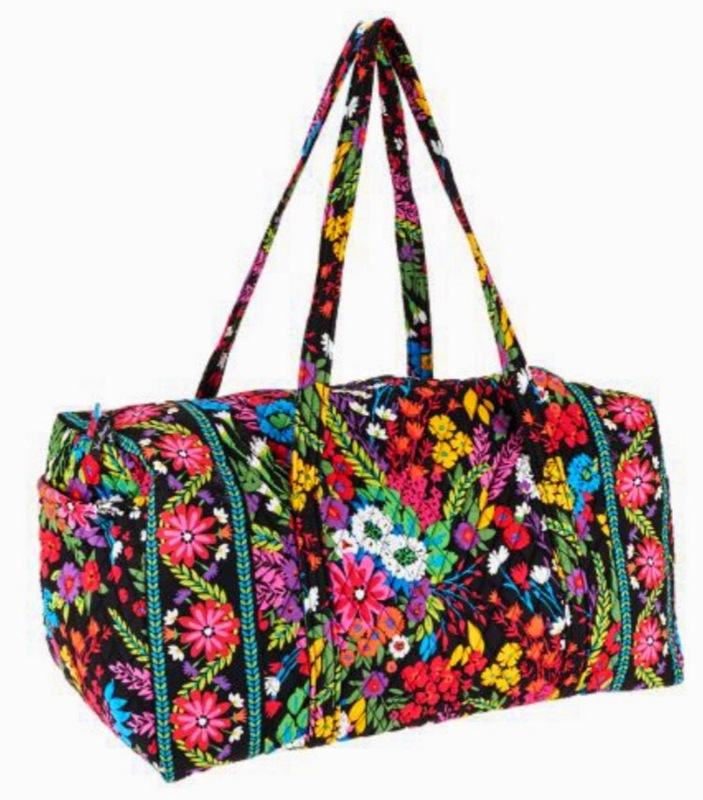 I am not sure which styles it will come in, but here is a photo of it in the Large Duffel! Some of you might recognize the print...it is Midnight Blues, but in more colors with a black background.